This is a vintage New York Thruway pennant from the 1950's. The small, blue and yellow pennant has a great look and will be a great addition to any room. 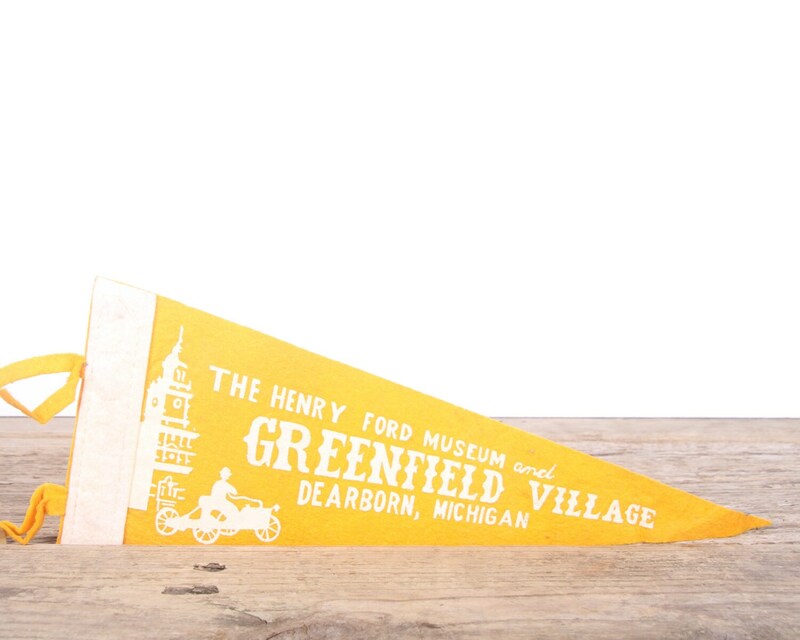 The pennant measures roughly 13.5" long and 5.25" tall. 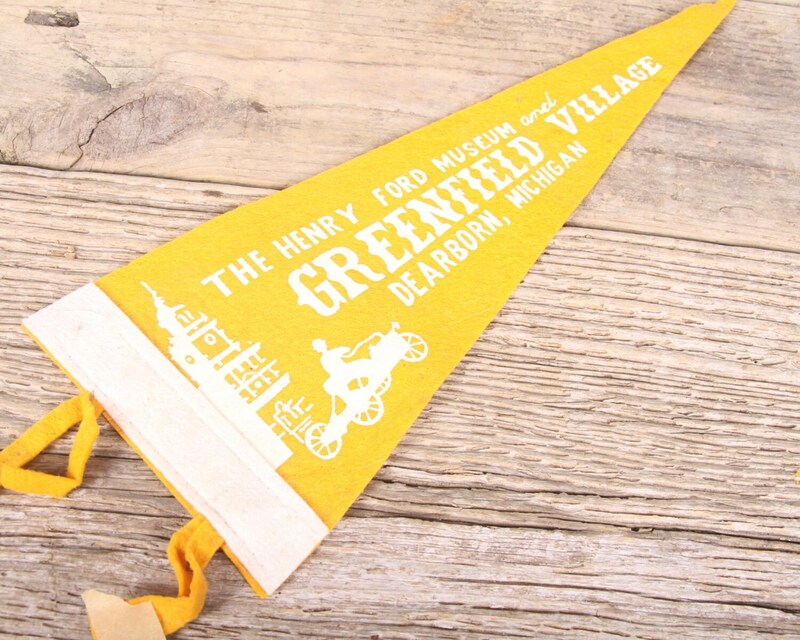 - The pennant is vintage and does show some wear and creasing.